Eat this before it melts! White cake, white buttercream, and pink icing! 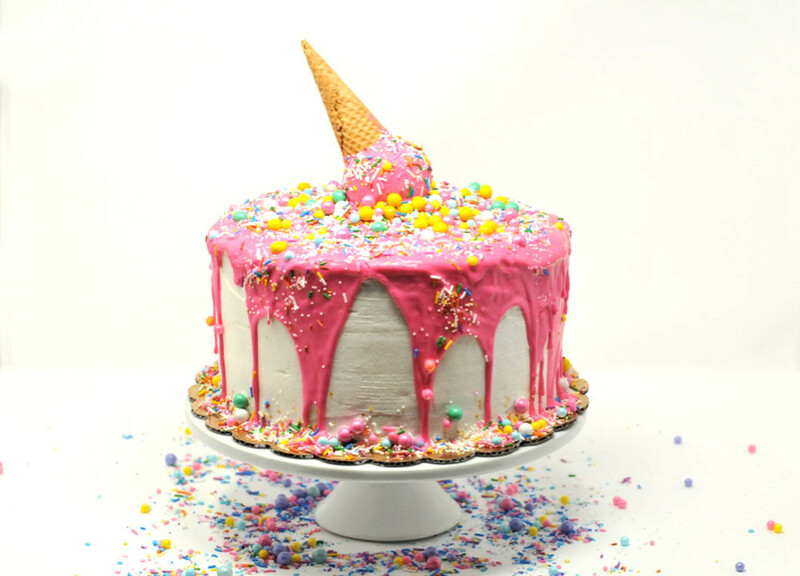 Crazy colorful sprinkles, sixlets, and a giant cake ball with a waffle cone!